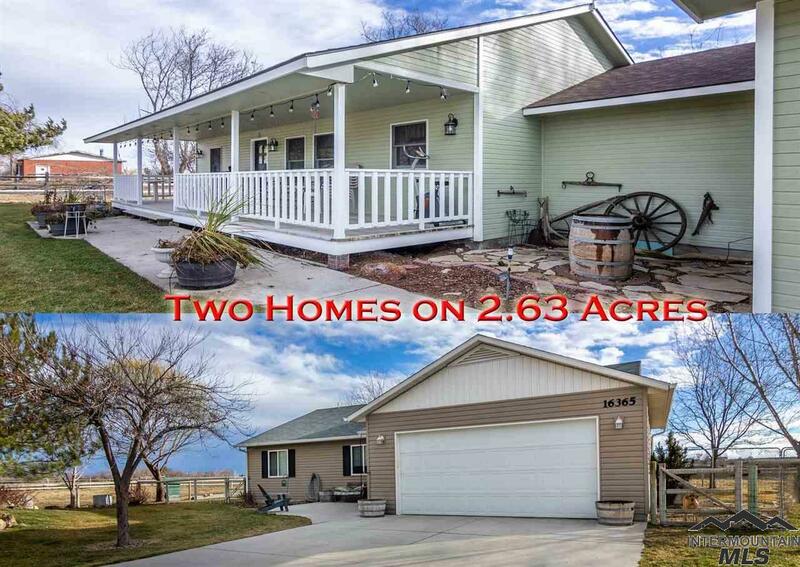 2 Great homes on approx. 2.63 Acres on the edge of town! Country living! covered front porch, 24 x 32 shop, covered parking, storage shed, & a fenced pasture! Very well maintained and several recent updates including granite counters, Jenn-air stovetop/oven, fridge, exterior paint, heat pump, roof, plumbing fixtures, led lighting and more! See listing for 16365 Linden for details on the 2nd home. $575K includes both homes & 2.63 acres.